The module displays a price range for each product in different pages. 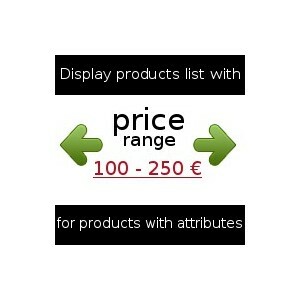 The module displays a price range for each product in pages: Category, New products, Top sellers, Specials, New products, Manufacturers, Search and other pages you want (including pages that generated by other modules such as «Layered navigation block» or «Featured products on the homepage»). The module may present information for a customer about a product prices in a more comfortable way if a product has different prices because of combinations, specific prices or price rules. 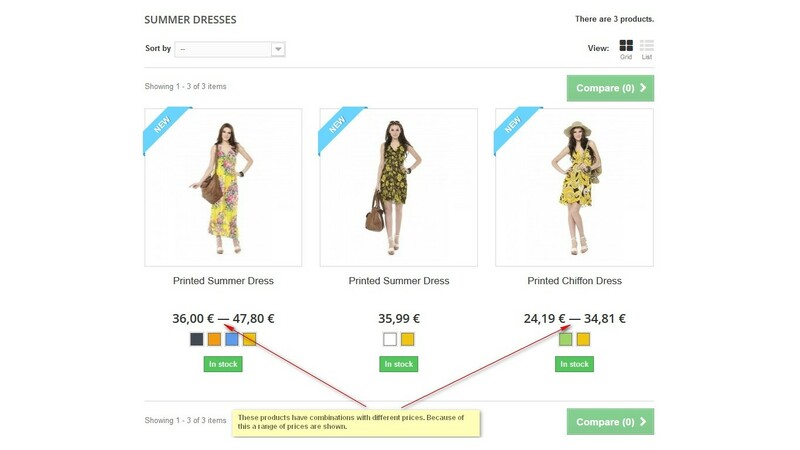 Allow to display a range of prices of a product when there are discounts for some combinations of this product or when there is a discount by quantity. The module displays a price range for each product in different pages with products list (this module is useful only for products list pages, it is not useful for other pages as a product detail page). The module calculate price range for products with combinations, specific prices and also catalog price rules. 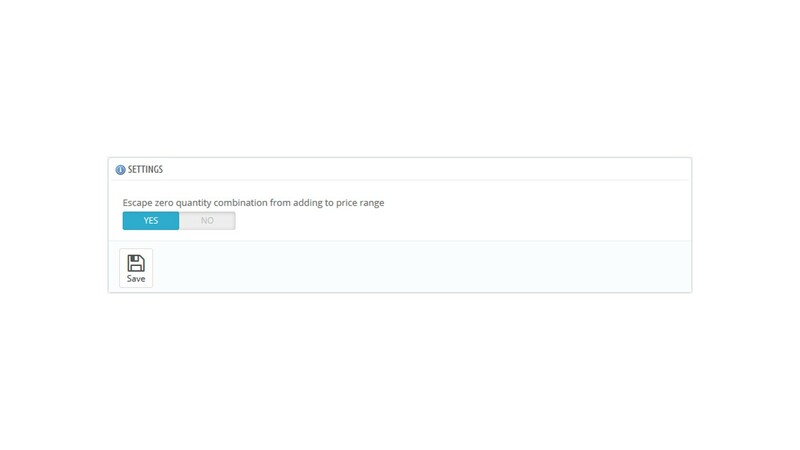 The module has an option to escape combinations with zero quantity from adding to price range. 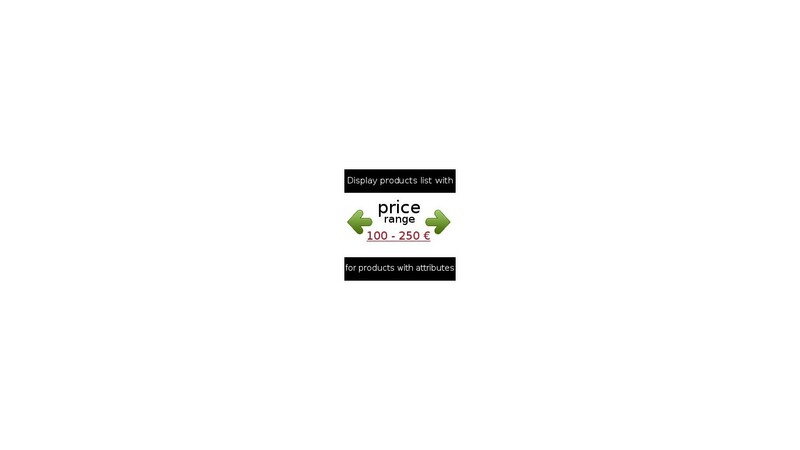 Other modules that displays product price may be used together with this module (like «Layered navigation block» or «Featured products on the homepage»). With the module merchants will get instructions and prepared customizations for installing. 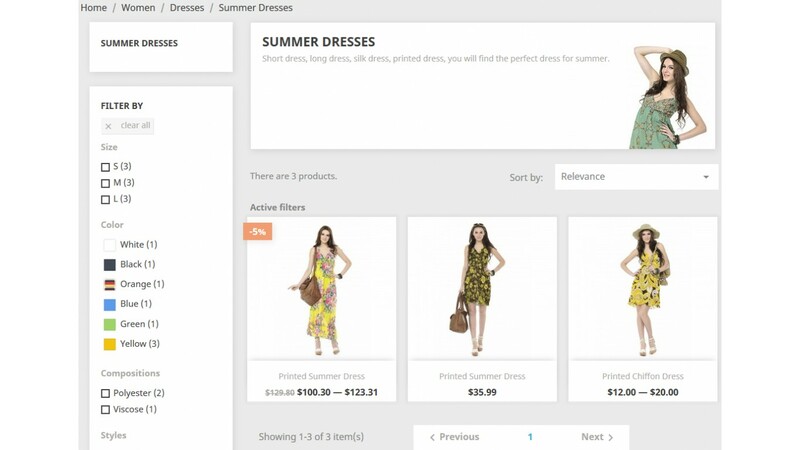 The module has a normal installation and uses PrestaShop class override system to override default behavior. Installation of the module is described in the manual. The most quality module for a price range addition! I have also tested three another modules, including a free similar module. This is the best and is also cheap! Works more faster, detailed documentation for customization and great support!